Image from Blacksmiths Depot, enhanced by Jock Dempsey. This is an auxilliary vice that clamps into any larger vise. It holds the work at a 45° angle from vertical for detail filing or chamfering. Forged Steel, currently made in France. The handmade angle or chamfering clamps above are from Donald Streeter's Professional Smithing, 1980. Streeter references Diderots Encylopedia circa 1770 as showing similar tools. 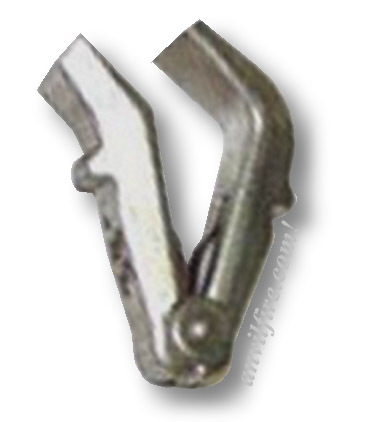 Here the tool is called a King Forcepts or a Clamp Hook. 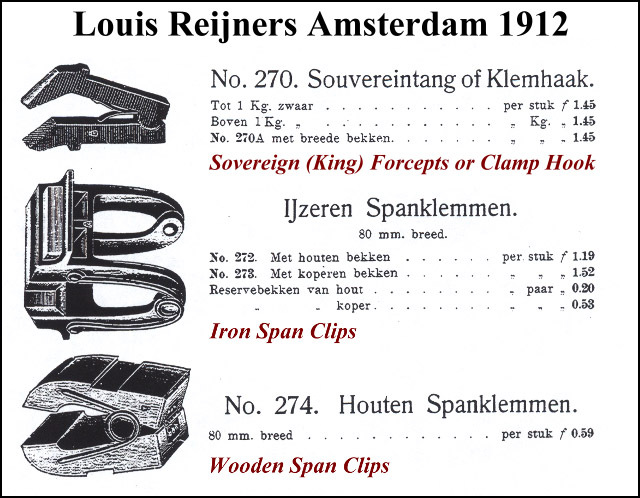 However, if the tool was made elsewhere the names may have already been translated say from French to Dutch and the translation to English something even different.